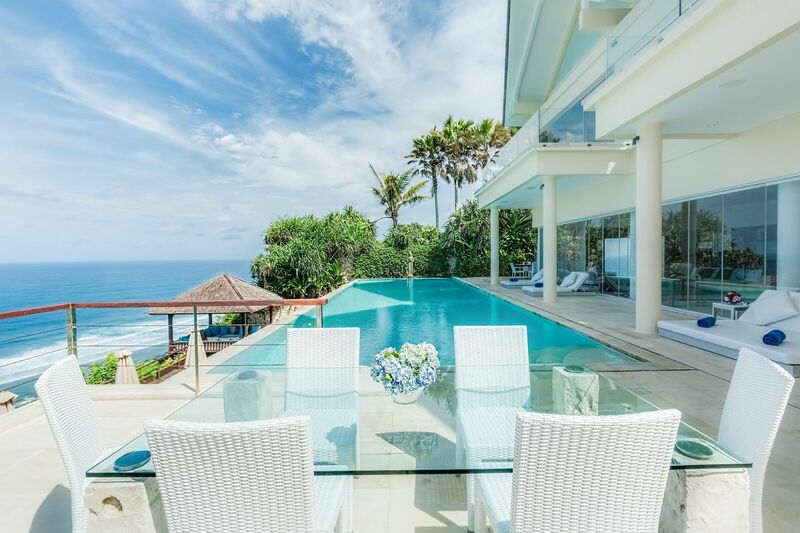 A modern, five-bedroom, cliff-front residence with a glamorous Ibiza-vibe and spellbinding views of the Indian Ocean, complete with your own 20-metre private pool, awaits you at Ungasan Beach Villas on the spectacular Bukit Peninsula in South Bali. Here, you will have all the benefits of your own splendid holiday home – including personal butler service, your own private chefs, and the use of a car and driver. 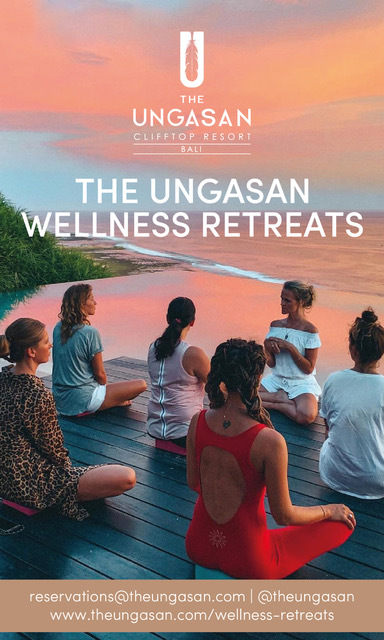 Ungasan Beach Villas rest within the safe gated environment of a luxury boutique resort, which has everything that you could possibly require within a secure, walled community. 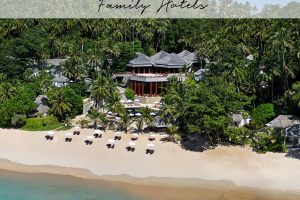 This includes access, via a cable cabin, to the pristine white-sand Beach Club, as well as the kids’ club, gym and gourmet restaurant, the main swimming pool, and the fabulous cliff-top Spa offering yet more of those intoxicating sea views. 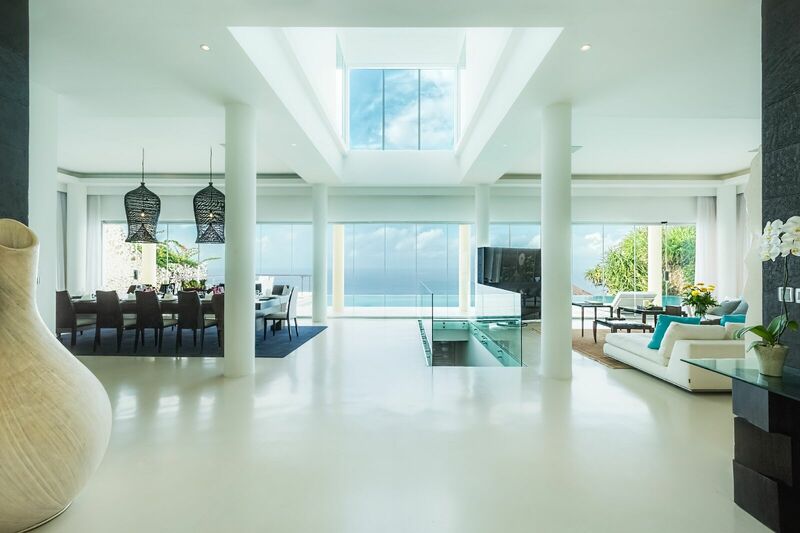 And all of this is only footsteps away from Grand Cliff-Front Residence, the estate’s best private villa. Prices are exclusive of tax and service charges. Five luxuriously-appointed bedrooms with en-suite bathrooms. The two master suites have walk-through dressing rooms, while other bedrooms have wardrobes. Master bathrooms each fitted with a shower and a bathtub. Four bedrooms come with an international-channel TV, while the fifth bedroom is adjacent to the cinema room. The villa sleeps 10 people. Maximum capacity of 12 people with extra beds. Home cinema room equipped with Dolby Digital features; a Nintendo Wii; international TV channels; a Blu-ray DVD player, and a large projector screen. Indoor and outdoor sound speakers as well as a high-end portable speaker to use on the lower deck. Quality bedding and towels, bathrobes, and original toiletries. Spacious air-conditioned living area with sofa seating, flat screen TV with DVD player and international channels, a dining table for 12, and a floor-to-ceiling glass wall with several glass doors leading to the pool deck. Fully equipped European-style kitchen with a fridge, stovetop, oven, microwave, juice extractor, espresso coffee machine, toaster, blender and dishwasher. Outdoor Jacuzzi tub with circular sun bed for two people. Lower-level timber deck with six sun loungers and two umbrellas. Relaxation gazebo with cushioned seating for 10-12 guests. Outdoor terraces and upstairs balconies. Two outdoor dining tables for 12 and 6. Gas barbeque grill (to use under the supervision of the villa’s butlers). Complimentary access to the Karma Beach Club, a bamboo and thatch venue set on a spectacular white sand beach at the base of the cliff, with daybeds and private gazebos and a fine menu of delicious food and beverages, all accompanied by beats from international DJs. DiMare gourmet restaurant with its breath-taking cliff top setting. 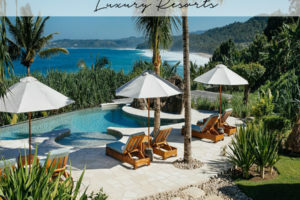 The Karma Spa and its exclusive treatments, plunge pool, sauna and yoga classes overlooking the ocean, as well as stand-up-paddle-board yoga classes. Complimentary access to the fully-equipped gymnasium. What could be more romantic than tying the knot with the one you love at a blissful villa on one of the world’s most captivating and beautiful islands. The graceful architecture of the Grand Cliff-Front Residence lends itself perfectly for a small and elegant poolside wedding against the breathtaking backdrop of the Indian Ocean. Imagine this Residence exquisitely decked out with the stunning décor that the Balinese are so good at creating – archways of trailing palm fronds, vases of sweet-scented tuberose, posies of frangipani, a pathway of rose petals, floating candles and fringed parasols. Intimate weddings are a specialty here, the villa is the perfect venue for intimate weddings of up to 50 people for a cocktail reception, or up to 30 people for a seated banquet. 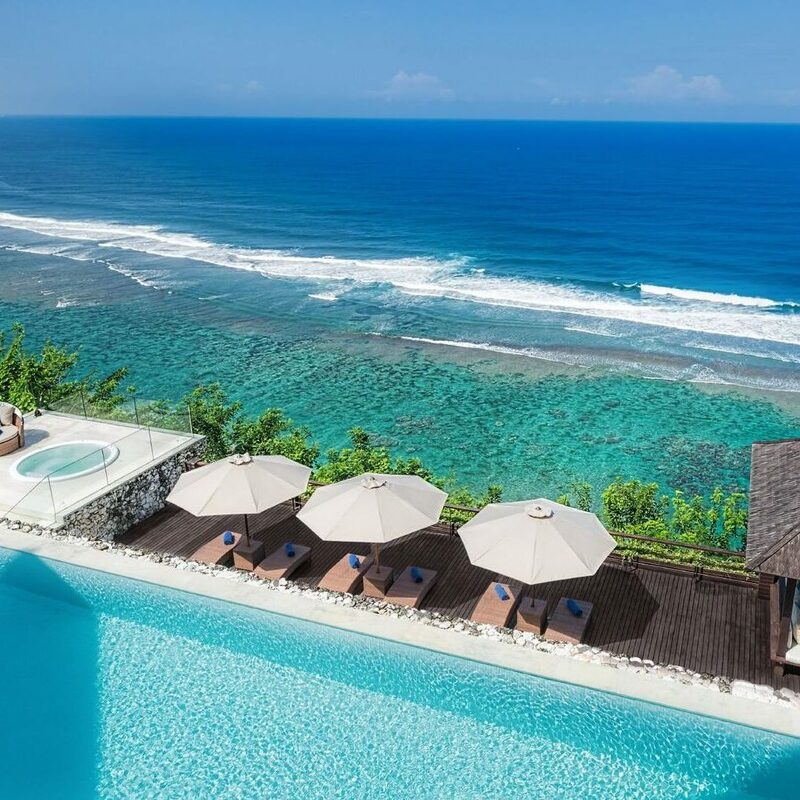 An increasing number of couples are eagerly embracing the opportunity to make the sun-soaked island of Bali the destination for the most important day of their lives. 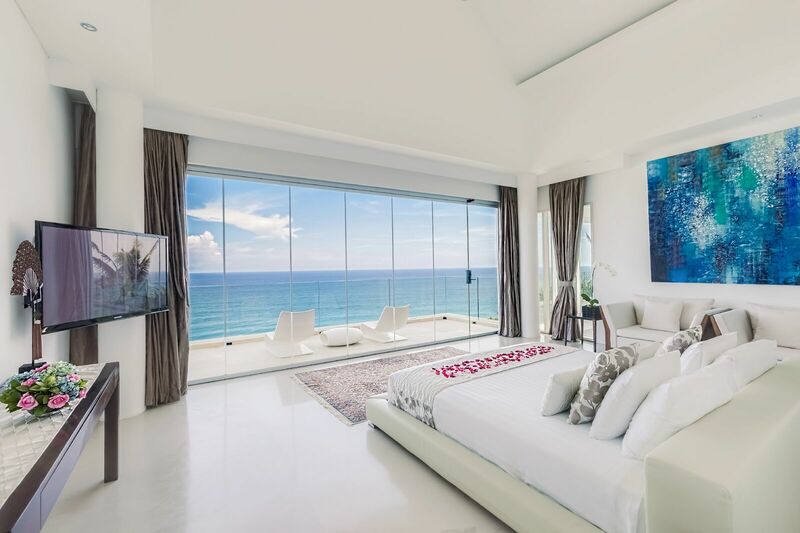 The Grand Cliff-Front Residence could be just the place to fulfil your dream. Villa capacity is up to 30 people for a seated banquet; up to 50 people for cocktail reception. 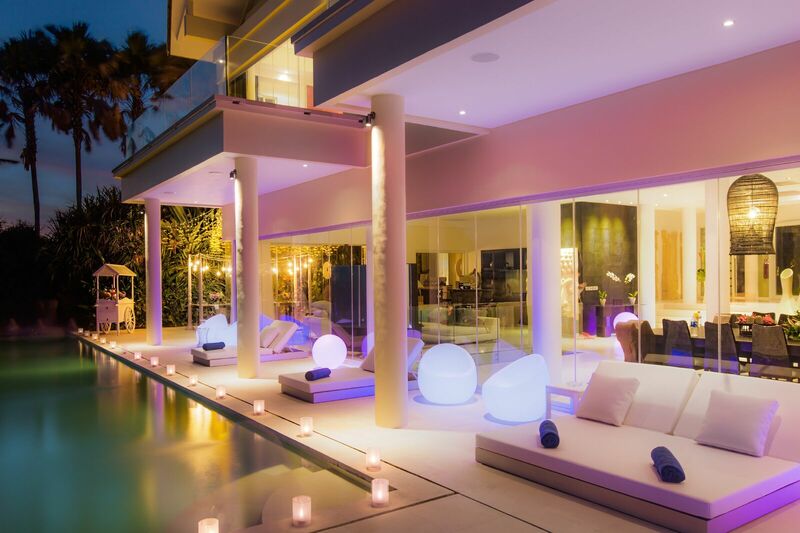 The villa can accommodate up to 12 people for an overnight stay. Banjar (local village council) fee is Rp 4,500.000. Fireworks are not permitted, however some outside illumination can be arranged by an event organiser. 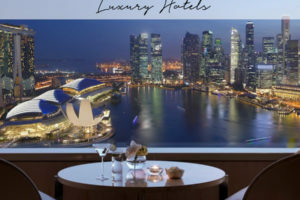 Security bond is required in cash for the amount of Rp 14,000,000 (US$ 1,000), which must be paid on the booking commencement date or earlier if you plan any early deliveries. The Grand Cliff-Front Residence’s very well experienced and talented staff members will be around to make sure your stay is relaxing and you have everything you need. 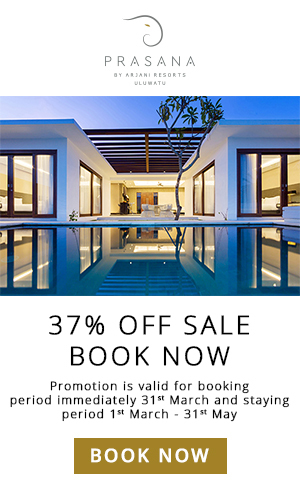 Get inspired with our Bali’s Best Sunset Bars and Bali’s most beautiful beaches guides, both featuring the facilities of The Grand Cliff-Front Residence at Karma Kandara.